House No. 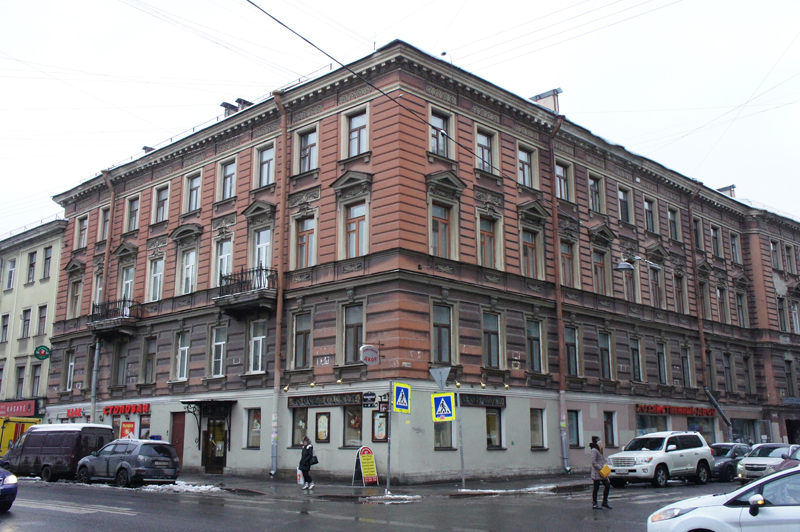 38 on Kolomenskaya Street in St. Petersburg was erected in 1880 during the heyday of historicism in architecture. The building’s architect, Alexander Ivanov, was inspired by the French and Italian Renaissance. The Tver Charitable Society was housed in the building in the early twentieth century. It provided social support and financial assistance to needy people from Tver who lived in St. Petersburg. Vladimir Naumovich Nagly lived in the building in the 1930s. Vladimir Nagly was born in 1903 in Petersburg to the family of a watchmaker. He was a supporter of the October Revolution, joining the the Red Army in 1919, and the Bolshevik Party in 1921. However, he devoted all of his short life to the theater. In his indictment, dated 26 July 1939, Vladimir Nagly, former director of the Theater of Comedy and Satire (1930–1933), former director of the First Five-Year Plan Park of Culture and Rest (summer 1931), former director of the Central Park of Culture and Rest (summer 1932), former director of the Philarmonic (1932), former deputy director of the Pushkin Academic Drama Theater (1933–1936), former deputy director of Lenfilm Studios (1936–1938) and, at the time of his arrest on 20 October 1938, director of the Theater of Drama and Comedy (now the Theater on Liteiny), was identified as a “guerillla” in a group that was, allegedly, planning to murder Andrei Zhdanov, who at the time was First Secretary of the Leningrad Regional Party Committee and the Municipal Committee of the All-Union Communist Party (Bolsheviks). 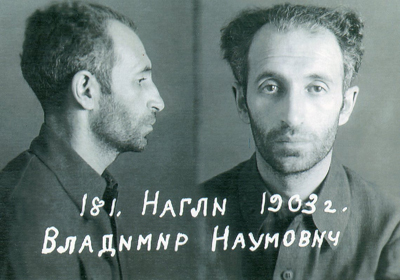 The regime admitted the case was a complete frame-up only in 1956, when Nagly was posthumously exonerated. 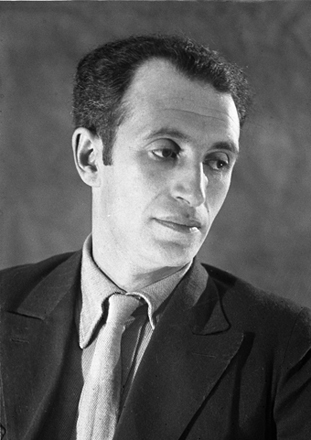 Vladimir Nagly’s son Mikhail (1926–2012), who was himself a well-known theater director, recalled that, before his father was arrested, the actors Nikolay Cherkasov, Vasili Merkuryev, Yuri Lavrov, and Yekaterina Karchagina-Alexandrovskaya were frequent guests in their spacious flat, and that his father had taken him to a see a rehearsal by the world-famous avant-garde theater director Vsevolod Meyerhold. The family avoided talking about Vladimir Nagly’s plight, and his relatives only recently learned the circumstances of his criminal case and his death. A plaque in memory of Vladimir Nagly was mounted on the building at 38 Kolomenskaya Street on 28 February 2016.